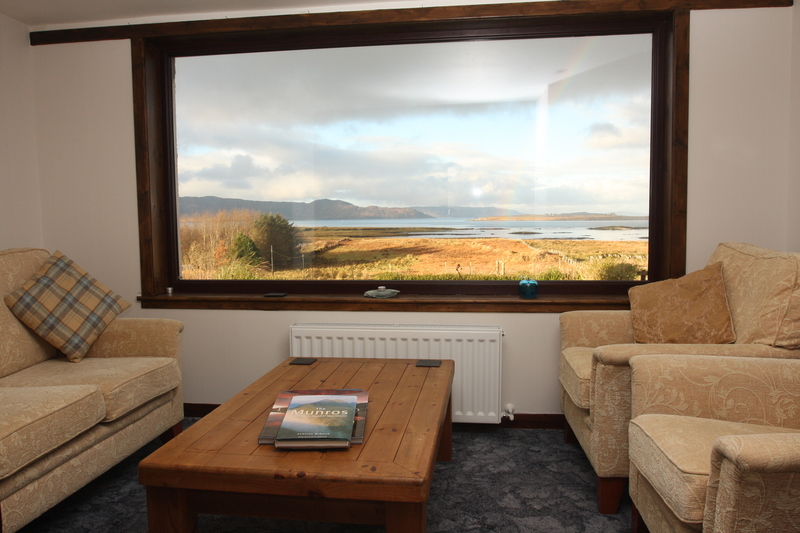 Holiday In Skye | Panoramic and restful self catering accommodation at Ashaig House. 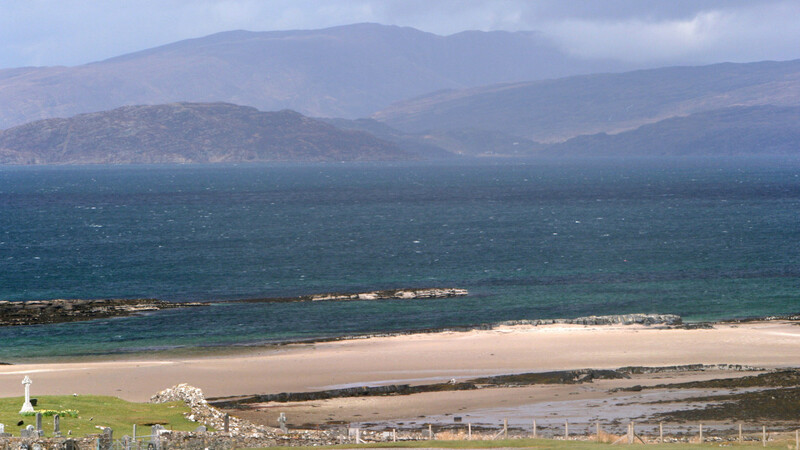 Welcome to the stunning location of Ashaig House – sit back and enjoy the views! We offer 1-week stays (Saturday – Saturday) in July & August. 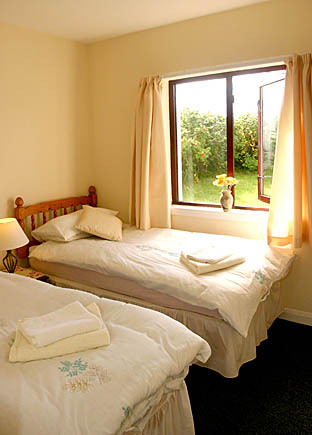 Shorter 3-night stays are possible during other months. 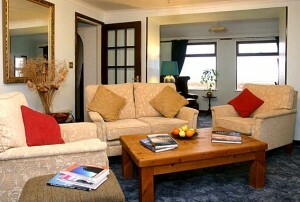 Ashaig House is a refurbished crofthouse set on eight acres of croftland sweeping down to the sea. 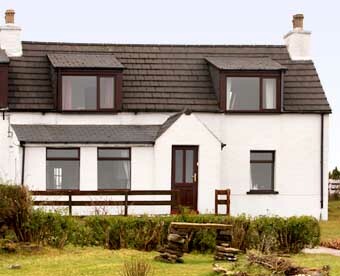 The unique and tranquil setting of the house represents an ideal central access point for touring Skye and neighbouring Lochalsh. This modernised cottage presents a home-from-home amid glorious Hebridean scenery. 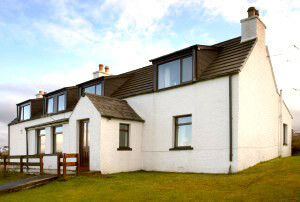 Next to a sandy beach in the peaceful Skye crofting township of Breakish, the location is exceptional, boasting uninterrupted views and sunsets across the nearby islands of Pabbay, Raasay, Scalpay & Crowlin. This is complemented by stunning panoramic views of the Red Cuillins, and outlooks toward the Cuillin Ridge, Torridon and Old Man Of Storr. 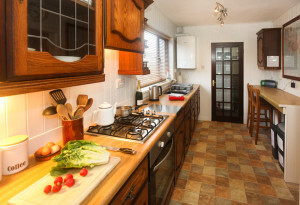 There is parking right outside the house, and WiFi Internet access indoors. The croftland in front of the house is fine for ball games, barbeques and kite-flying. The accommodation is self-rated as a near 4 star level. Ashaig House is entirely non-smoking. The comfortable bedrooms comprise one Double Room Ensuite (upstairs), one Family Room Ensuite (upstairs) and a Twin Room with adjacent private bathroom (downstairs). 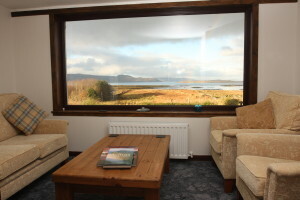 The upstairs bedrooms are traditional attic rooms with extensive sea & mountain views, while the ground floor bedroom has partial views towards the Cuillin Hills and Broadford Bay. One of the original crofthouse bedrooms, the Double Room Ensuite is a relatively compact room located in the attic space of the original cottage. The room has its own WC and shower. 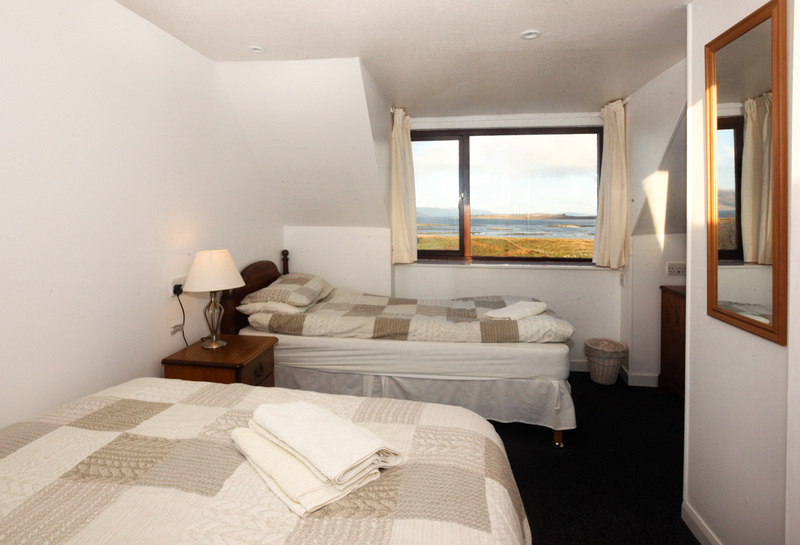 Our Family Room Ensuite is also located in the attic space of the original cottage and has a standard double plus a single bed. It has a small ensuite WC and shower. 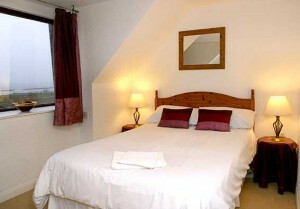 Our comfortable Twin Room is located on the ground floor, with its own private WC, bath & shower.